Founded in 1989 by John DeLilo, Ohio Paving & Construction is a leader in the Cleveland paving industry. We provide a full range of parking lot paving and construction services. Our list of clients include real estate developers, large and small corporations, school systems, churches, non-profit organizations and municipal governments. 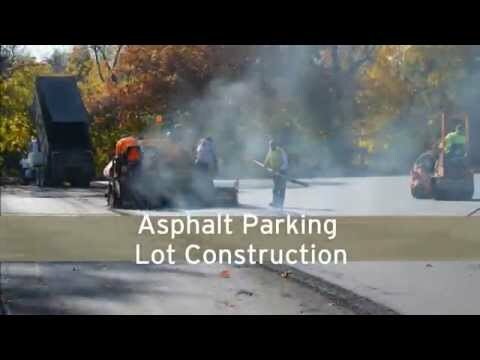 Our specialties include asphalt parking lot construction, asphalt grinding and milling, line striping, asphalt sealcoating, catch basin construction and repair, asphalt resurfacing, and crack sealing. Our work on your parking lot paving project begins long before our equipment arrives on your property. Our approach to each paving assignment is to work with you during the planning phase to create a layout and design that will help ensure a successful project. We encourage you to consider your facility’s long-term needs, and aim to help you develop both an initial construction and preventative maintenance program designed to serve those long term needs. Ohio Paving & Construction is among Northeast Ohio’s leading paving contractors for a number of reasons. We have highly trained employees who constantly demonstrate their professional skills in a demanding marketplace. We stay abreast of technical advances so we can provide cost-effective, timely solutions. Our team members regularly attend paving expos and ongoing training seminars on asphalt technology on your behalf. Counties not included in this list may be serviced by one of our contracting partners. Reach out for more details. A finished milling and asphalt paving job Ohio Paving & Construction completed for Giant Eagle in Beachwood, OH. Our goal at Ohio Paving & Construction is to provide our customers with lasting quality, superior value, and professional service. We believe in building long-term business relationships. Our owners and employees are experienced in all aspects of pavement construction. We operate our company with the highest degree of ethical standards, assuring you of the finest quality work at competitive prices. We hope you will consider Ohio Paving & Construction for your next asphalt paving project. Please feel free to request a FREE ESTIMATE here on our website. We look forward to serving you!